Shield above courtesy Doug Kerr. 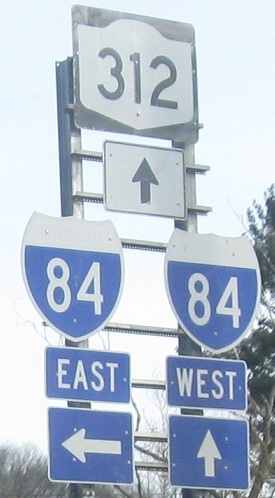 Shields to the right are on NY 312 EB at I-84 Exit 19. The Newburgh-Beacon Bridge seen from Water St. in Newburgh.